A video installation that explores “plastic love” or fetish culture and the assimilation of marginalized sexuality on the internet. In questioning what is an explicit and/or illicit image, fetishes found on YouTube that consist of banal gestures, are re-performed. Unlike other pornographic content these videos evade censor­ing because they are not culturally recognized as representations of sexuality. 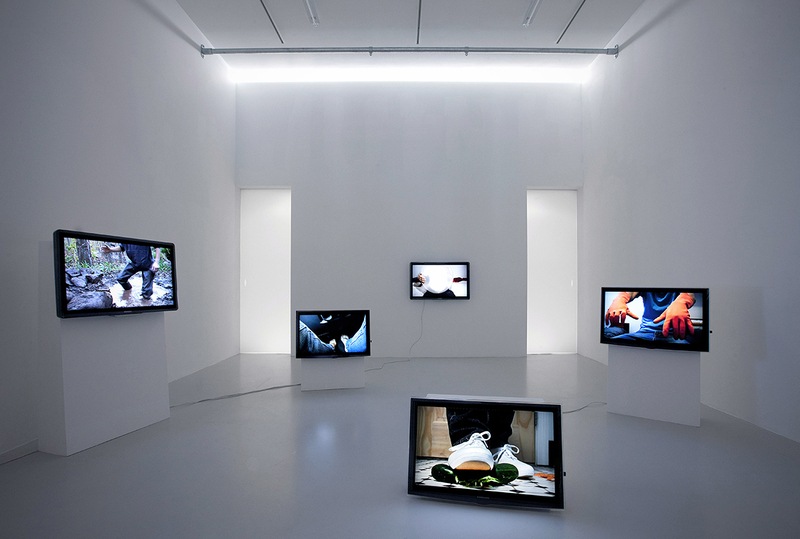 A video composite of all five videos playing simultaneously, similar to the installation. Touch Parade, 2012 from A.K. Burns on Vimeo.